Around 1987 a group from Trinity Episcopal Church in downtown Buffalo began to notice a disturbing trend in the homeless population. More and more single-parent adolescent families were appearing at shelters and on the street. Area shelters were sometimes able to offer temporary housing to these young families for up to 30 days, but many of them were turned away because there simply wasn't enough space. This group, the Founders as they came to be known, realized that these young families didn't have the skills and maturity to be able to live independently. As a result they were bounced out of housing as fast as they moved in. The Founders decided that it was time to respond to the growing need faced by these homeless families. Subsequent to much research and discussion, Homespace Corporation was formed in 1989 to meet the needs of these young single parent families. 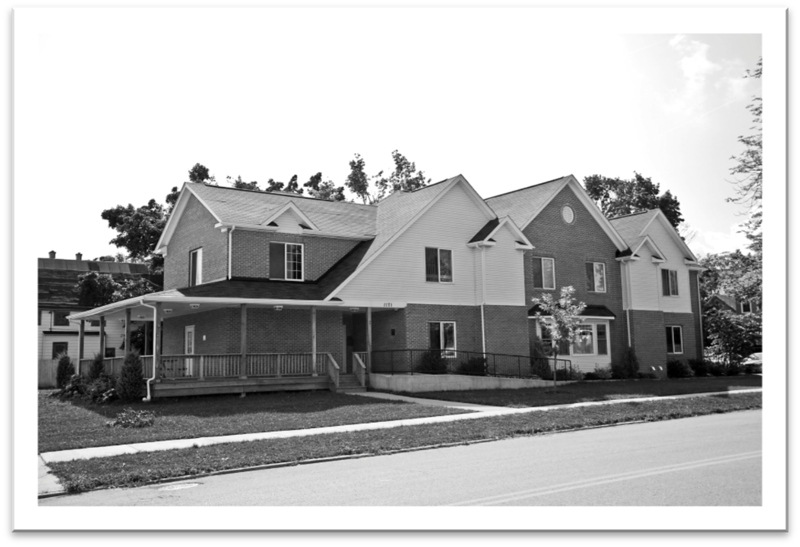 The mission of Homespace was to create a solution to this problem that would provide not only transitional housing, but would also provide support programs to help families in need break away from dependency and begin a new life of personal growth and economic independence. In 1993 St. Phillip’s Episcopal Church joined Trinity in making this idea a reality. After years of talking to social service providers and negotiating with government officials the persistence of the “Founders” finally paid off. The New York State agency for Housing and Homeless Assistance Program provided the building capital, and partial funding for operations was provided by the United States Department of Housing and Urban Development. Homespace opened its doors in March 1994 to provide affordable housing for young (ages 16 - 21), homeless, single parent families. The age was later changed to reduce the risks associated with having teen parents living in a townhouse with an infant. Cheers to 25 Years of Homespace!